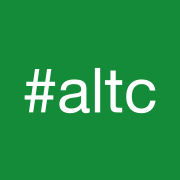 I will be presenting at the Association for Learning Technology (ALT) Online Winter Conference 2015. The talk discusses the research into teaching and assessment that has led me to argue that project-based curricula make better use of our time in education than traditional curricula. There are many practitioners who support my argument. Consequently, Finland is moving to a cross-disciplinary, phenomena-based curriculum. But there are also those who don’t. For example, teacher and author, Daisy Christodoulou, argues that discovery-based learning is letting down our students. The thrust of the talk is about moving the balance of educational goals from a selection process of “those who can” to a supported teaching and learning environment for everyone. I argue that content-heavy curricula do not work for anyone, including those who achieve good grades in these environments, because they do not require us to engage in challenges that will be useful in the future. In contrast project-based curricula give students a handle to understand the theories being presented to them. They develop their resourcefulness and inquisitiveness about the topic and gives everyone in a cohort a unique perspective. This perspective gives the cohort a natural talking point on disciplinary-based topics, and the discussions that ensue between students cannot be claimed to be collusion. It requires them to apply theories to their own contexts and gives them a personal perspective on disciplinary theory. Register for the free online conference here to attend my talk.